Homepage - K. H. Davis Engineering Consultants Ltd.
with your renovation or addition? that make it all work. Need a structural engineer to help with your renovation or addition? We are here to help. K.H. Davis Engineering Consultants Ltd are specialists in the design and construction of houses and small buildings. 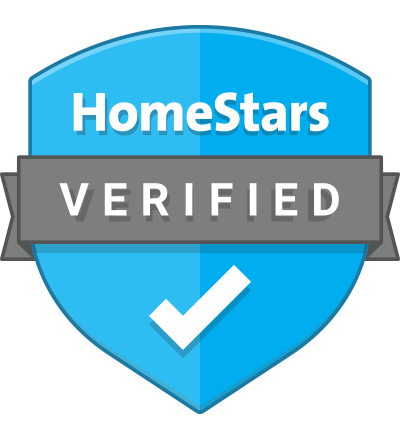 We work for homeowners (yes, do-it-yourself renovators are welcome! ), contractors, architects, realtors and property managers. In fact, we probably do more site consultations and design project for homeowners than any other structural firm in Toronto. We have done over 3000 residential projects since we started in 1999. 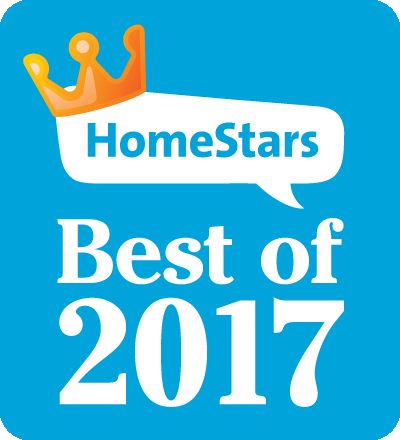 Watch for us on popular home improvement shows, such as Leave it to Bryan, Disaster DIY, Income Property and read our reviews on HomeStars. Most projects are for older buildings of varying construction. We have seen it all, so don’t be shy about calling us to discuss your project. "Thanks for putting our minds at ease!" Great experience with K.H.Davis, many issues with the city but project manager assigned to my project (Mike Shirzadfar) made navigating through it easy to understand. His patience with my asking possibly too many questions kept me calm and gave me a better understanding and prepared me for what's to come during the construction process. Thank you Mike, definitely would recommend and use again. "The team at KH went above and beyond"
The team at KH went above and beyond to help me out with a rather challenging issue with the City of Toronto. You expertise and knowledge of the system really set us up for success with our underpinning project! Thanks again for the great skill and service! "Underpinning drawings quick and fair price"
After being strung along by our previous contractor we contacted another underpinning company for a quote and they referred us to Mike at KH Davis for the structural drawing for permitting. He rushed the job for us to fit the new underpinning company schedule. He was quick, easy to get ahold of, filed the permits once the drawings were complete and within a month of first contact we have everything we need from the city and are digging out our basement! Thanks Mike! "This company has a real grasp on communicating with their clients"
KH Davis Engineering Consultants Ltd. were quick in their response to my enquiry, an appointment was made in a very reasonable amount of time to attend and provide a site inspection. The report that I received and the follow up after the site visit was both thorough and efficient. This company has a real grasp on communicating with their clients and ask all the right questions all the while providing a response to each of the clients concerns. I would definitely recommend KH Davis Engineering to anyone that I know. If you are thinking about removing load-bearing walls, adding a third storey addition, or lowering a basement, we can provide you with a Site Consultation and then prepare the building permit drawings that you may need for your project. Many of our clients have a specific problem with their home, such as sloping floors or cracked walls, and they need solid, professional advice on how to move forward. We are experts at solving problems with houses, both old and new. Our staff are qualified to provide all required design services for buildings which fall under Part 4 (Structural Design) and Part 3 & 9 (Houses and Small Buildings) of the Ontario Building Code; people come to us for help when they need a structural engineer on a house project or when their project has run into difficulties. We are often referred by Home Inspectors and other Structural Firms that don’t have specialty knowledge of houses. We are licensed by the Professional Engineers of Ontario and we carry $1,000,000 of errors and omissions insurance to protect our clients. Please feel free to call us to discuss your project. Our sister company, KH Davis Construction Ltd, provides Project Management & Contracting services for some of our clients. We usually limit our work to the construction of the structural part of your project and bring in specialty finishing sub-trades to do the rest. Feel free to ask us about building your project. K.H. Davis Engineering Consulting is committed to providing quick turnaround and highly practical and cost-effective solutions to all of your engineering & design requirements. We are regularly commended on our customer service and our relaxed approach to dealing with difficult technical matters, even on small projects. We are ready to answer your technical questions and assist you and your contractor in understanding the design that we provide. We will support you at all stages of your construction project. We work closely with the design-build industry; we understand the need for speed… especially during construction which must keep moving ahead at all times to avoid costly delays. Our reputation depends upon keeping your project moving forward without delays. All of our projects are supervised by one of our in house design Professionals. Mr. Ken Davis, P. Eng., Founder and designated Consulting Engineer leads our team of 4 Engineers and 3 Architectural Technologists and is increasingly involved in providing Expert Reports regarding Design and Construction related Litigation matters that relating to Building Code Violations and Construction Claims. Mr. Kevin Williams, P. Eng., brings his 25 years of Structural Design expertise (formerly with Viceroy Homes) to the firm, supervising much of the day-to-day structural engineering services delivered by the firm, and providing “one-of” Structural Consultations on-site to our clients. We are committed to a “lifetime of learning” and to keeping abreast of changes in our field, through membership in local and national professional associations. We insure all design projects against any unforeseen errors or omissions; the firm carries $1,000,000 of insurance to protect our Clients. Although our Professional Engineers stamp supersedes the need for a BCIN number, K. H. Davis Engineering Consultant is Bill 124 compliant for Small Buildings and Legal Process. All design is done in-house by our engineers and technologists – we are here to serve you and ensure that your project moves forward!